ST. JOHN’S, Antigua (AP) — The most powerful Atlantic Ocean hurricane in recorded history made its first landfall in the islands of the northeast Caribbean early Wednesday, churning along a path pointing to Puerto Rico, the Dominican Republic, Haiti and Cuba before possibly heading for Florida over the weekend. The eye of Hurricane Irma passed over Barbuda around 1:47 a.m., the National Weather Service said. Residents said over local radio that phone lines went down. 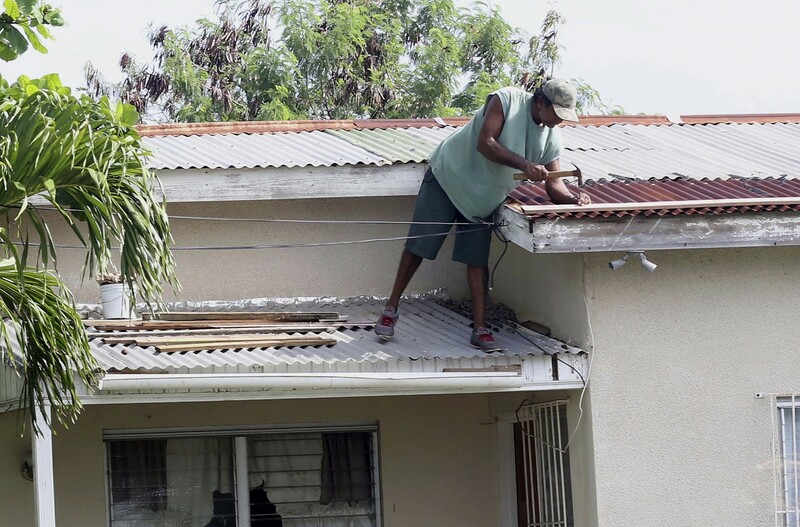 Heavy rain and howling winds raked the neighboring island of Antigua, sending debris flying as people huddled in their homes or government shelters. The Category 5 storm had maximum sustained winds of 295 kph (185 mph), according to the US National Hurricane Center. Its forecast late Tuesday was for the winds to fluctuate slightly, but for the storm to remain at Category 4 or 5 strength for the next day or two. The most dangerous winds, usually nearest to the eye, were forecast to pass near the northern Virgin Islands, and near, or just north of, Puerto Rico through the day Wednesday. 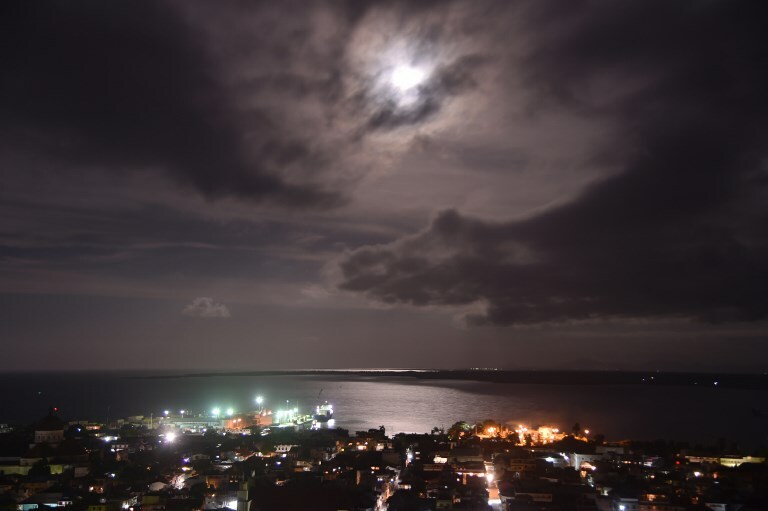 On the 280-square-kilometer (108-square-mile) island, people who live in low-lying areas were staying with friends and relatives on higher ground or sleeping in churches, schools and community facilities built to withstand hurricanes. None of the shelters have yet been tested by Category 5 winds, however. 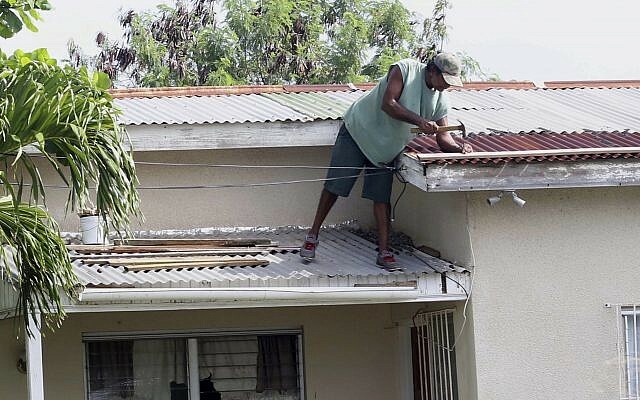 Many homes in Antigua and Barbuda are not built on concrete foundations or have poorly constructed wooden roofs that are susceptible to wind damage. Other islands in the path of the storm included the Virgin Islands and Anguilla, a small, low-lying territory of about 15,000 people. 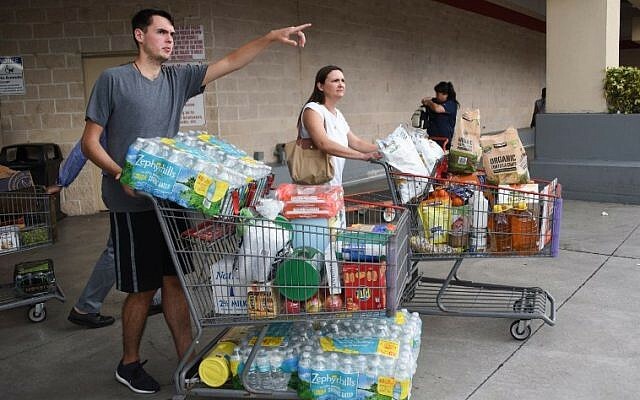 US President Donald Trump declared emergencies in Florida, Puerto Rico and the US Virgin Islands, and authorities in the Bahamas said they would evacuate six southern islands. Warm water is fuel for hurricanes and Irma is moving over water that is 1 degree Celsius (1.8 degrees Fahrenheit) warmer than normal. The 26°C (79°F) water that hurricanes need goes about 80 meters (250 feet deep), said Jeff Masters, meteorology director of the private forecasting service Weather Underground. Four other storms have had winds as strong in the overall Atlantic region but they were in the Caribbean Sea or the Gulf of Mexico, which are usually home to warmer waters that fuel cyclones. Hurricane Allen hit 305 kph (190 mph) in 1980, while 2005’s Wilma, 1988’s Gilbert, and a 1935 great Florida Keys storm all had 200 kph (185 mph) winds. The northern Leeward Islands were expected to see waves as high as 3.3 meters (11 feet), while the Turks and Caicos Islands and southeastern Bahamas could see towering 6-meter (20-foot) waves later in the week, forecasters said. Bahamas Prime Minister Hubert Minnis said his government was evacuating the six islands in the south, because authorities would not be able to help anyone caught in the “potentially catastrophic” wind, flooding and storm surge. People there would be flown to Nassau starting Wednesday, in what he called the largest storm evacuation in the country’s history. 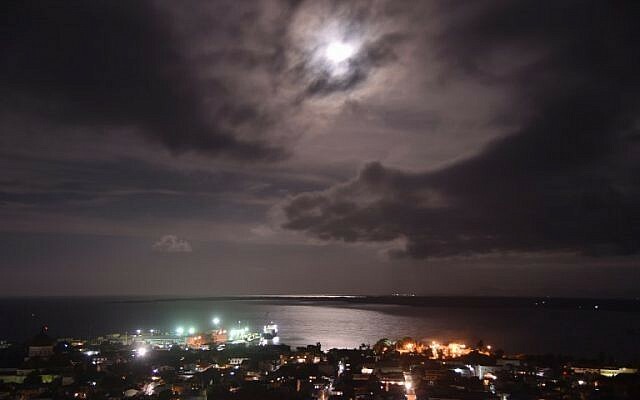 The director of the island’s power company has warned that storm damage could leave some areas without electricity for about a week, and other, unspecified areas for four to six months. The utility’s infrastructure has deteriorated greatly during a decade-long recession, and Puerto Ricans experienced an island-wide outage last year. The eye of the storm was expected to roar westward on a path taking it north of more heavily populated Puerto Rico, the Dominican Republic, Haiti and Cuba, but it could still cause life-threatening storm surges, rains and mudslides. Gov. 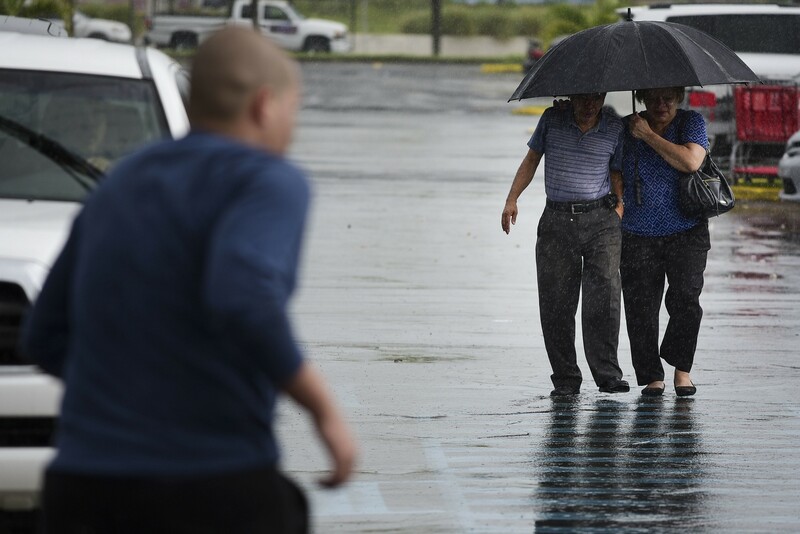 Rick Scott activated 100 members of the Florida National Guard to be deployed across the state, and 7,000 National Guard members were to report for duty Friday, when the storm could be approaching the area. On Monday, Scott declared a state of emergency in all of Florida’s 67 counties. The National Hurricane Center in Miami said hurricane-force winds extended 80 kilometers (50 miles) from Irma’s center and tropical storm-force winds extended 280 kilometers (175 miles). A new tropical storm also formed in the Atlantic on Tuesday, to the east of Irma. The hurricane center said Tropical Storm Jose was about 2,140 kilometers (1,330 miles) east of the Lesser Antilles late Tuesday, and its maximum sustained winds had risen to 85 kph (50 mph). It was moving west-northwest at 22 kph (14 mph) and could become a hurricane by Wednesday night.